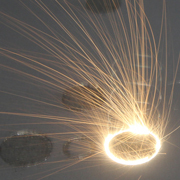 Leading metal additive manufacturing (AM) innovator, Renishaw is exhibiting at the 2019 AMUG conference in Chicago, USA, where it will showcase high-quality parts to the global additive manufacturing community to demonstrate what is possible with productive multi-laser AM. From March 31st to April 4th, 2019, the company can be found on stand D14 showcasing components from the aerospace, automotive, medical and marine industries, as well as consumer technology. From March 31st to April 4th, 2019, global engineering technologies company Renishaw returns to the Additive Manufacturing Users Group (AMUG) conference. Hosted at the Hilton Chicago in Illinois, USA, the event will bring together additive manufacturing (AM) users from all over the world and provide a platform to share knowledge. 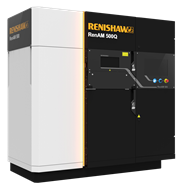 From February 21st to 23rd 2019, global engineering technologies company Renishaw will showcase its leading additive manufacturing (AM) hardware and software at TCT Asia at the Shanghai Exhibition Center, China. Global engineering company Renishaw is working with new mountain bike brand Atherton Bikes to produce additively manufactured titanium lugs for the company’s bike frames. The new brand was launched in January by the Atherton siblings, Gee, Rachel and Dan and co-founded by Piers Linney of Dragons’ Den fame.